Scale: Unknown. 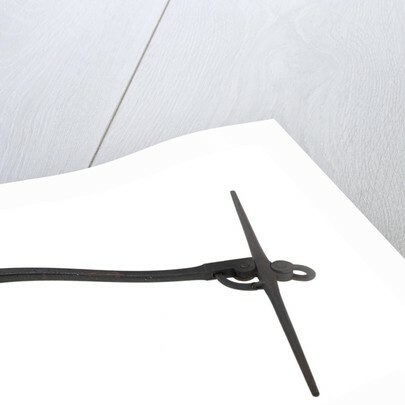 A proposal model of a swivel stock anchor made entirely of iron which has been painted black. 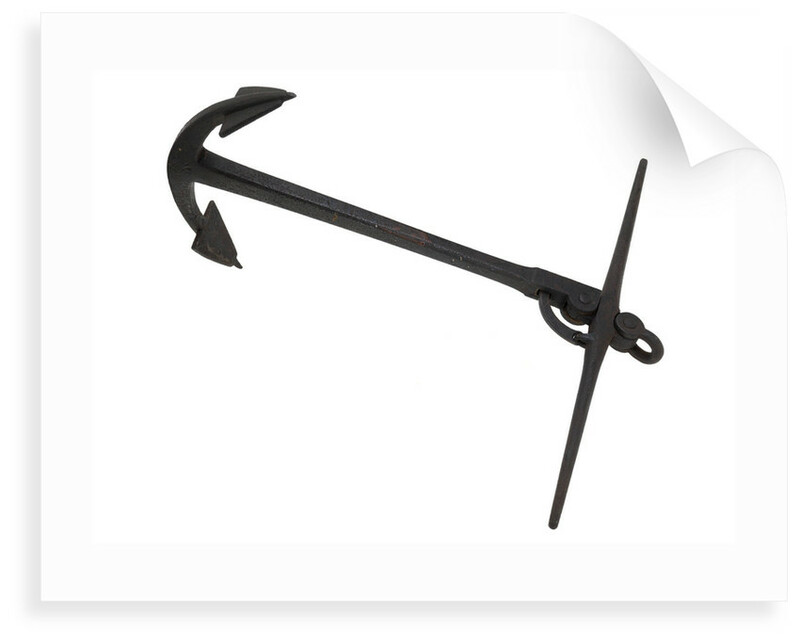 The anchor resembles the design of a standard Admiralty pattern anchor with a shank that is rectangular in section with rounded edges that taper towards a rectangular section at the top. The stock is circular in section and tapers towards the ends and pivots through the head of the shank by means of a metal bolt. 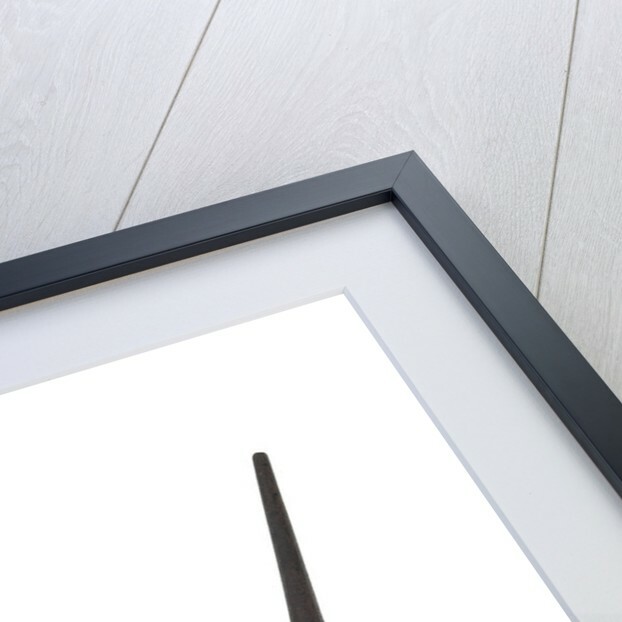 On the underside of the stock, attached to an eye, is a small metal quadrant which passes through the square section of the stock, and can be locked in position when the anchor is in use. When the quadrant is unlocked it travels through the shank allowing the stock to fold flat through ninety degrees enabling the anchor to be stowed flat on board ship. 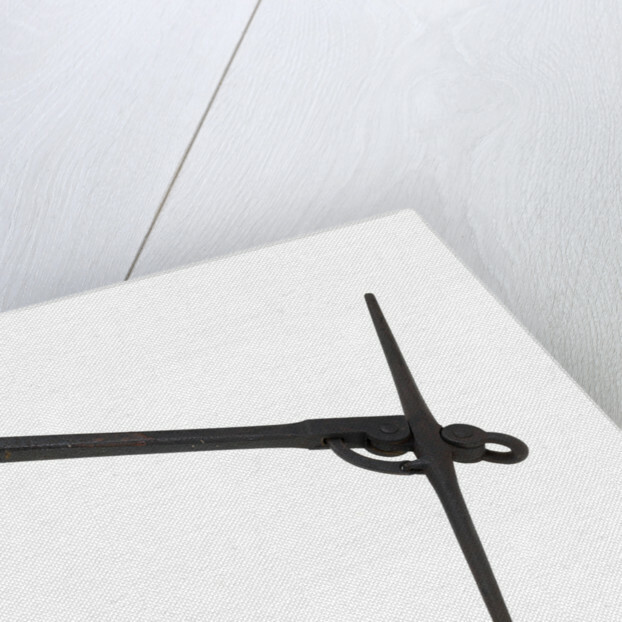 On top of the stock, in the middle, is a bow-shackle ring attached with a metal bolt. At the crown, where the shank meets the rounded upturned arms, there is a pair of flat triangular-shaped palms together with protruding bills at either end.